Let’s face it, wrinkles happen. 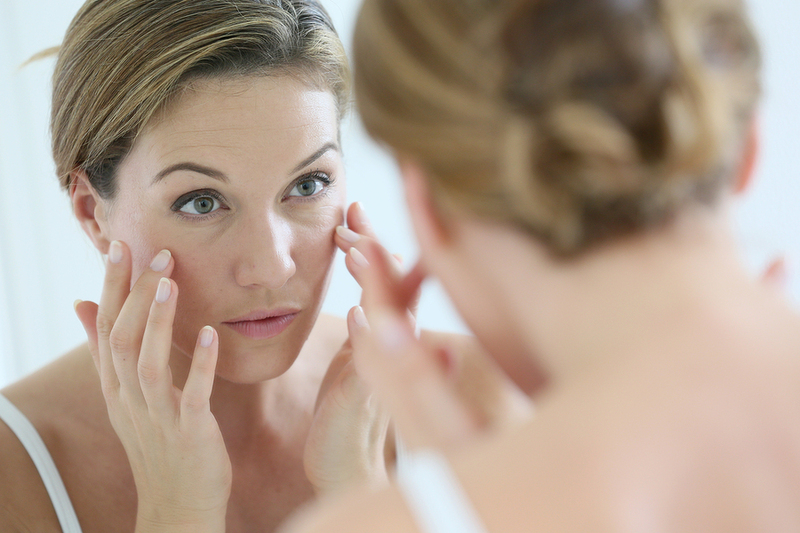 They’re a natural part of the aging process … and that’s OK! Why? Because while you may not be able to turn back the clock in real life, you CAN turn it back on your skin! We have the technology available to make restoring smoother, more youthful skin convenient – which can help you feel more confident with the skin you’re in. It’s time to say, “Goodbye Wrinkles”. Laser Genesis and Laser Limelight are our top two laser rejuvenation treatments. They are both procedures that are used for longer-term facial skin changes. Laser Genesis works by gently heating the upper dermis well below your skin’s surface, Laser Genesis stimulates collagen re-growth. Additional heat is generated in dilated capillaries to reduce redness. Over the course of 4-5 treatments, Laser Genesis can help restore the skin’s youthful glow and appearance by smoothing out uneven textures caused by aging, sun damage or scars.The effect is long term, with boosters recommended every 6-12 months. Laser Limelight is an exceptionally effective skin rejuvenation for pigmentation, redness, and sun damage. Sometimes called photo-rejuvenation, laser limelight uses light pulses to heat top-layer skin pigments, promoting a more even skin tone. Only 1-3 treatments are usually recommended to see desired results, however, more treatments may be recommended for excessively sun-damaged skin. Immediately after the procedure is finished, brown spots will start darkening. Following one to two weeks, the darkened spots will flake off. This is the most long-lasting treatment, necessitating maintenance visits only once annually. Especially used around the mouth, this is a gel injection that allows our skin to retain its elasticity by restoring volume to facial tissue. Juvéderm® fills fine lines on the upper and lower lip that are not severe enough to require laser resurfacing. Lip enhancement has up to twice the longevity of standard collagen implant treatments. Deeper wrinkles and folds in the cheek areas also respond well using Juvéderm®.In order to diminish bruising and swelling after the procedure, it is recommended to avoid Aspirin or NSAID’s (Motrin, Ibuprofen, etc.). It’s a very low-risk, effective procedure which lasts up to one year. This treatment is an (almost) one size fits all treatment for all skin types. The ICON procedure has minimal downtime and can be used on all skin types. This is a safe alternative to surgery for acne scars, surgical scars, skin revitalization, rosacea, melasma, hyperpigmentation, fine lines and wrinkles and MUCH MORE. The range of of skin types and ailments that the ICON can tackle makes it one of our top treatments at the spa! And guess what? Some of these awesome treatments are even more convenient to book RIGHT now! Find out which ones are currently being offered as part of our Mother’s Day Spa Gift Specials and give yourself something to smile about … without having to worry about laugh lines!